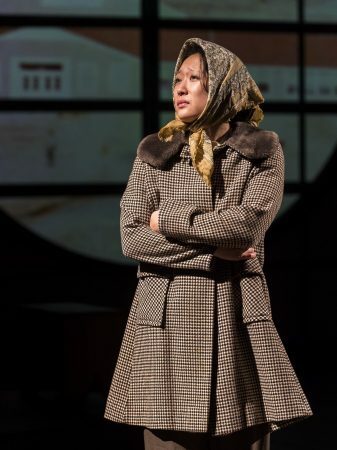 “Valley of the Heart,” which opened this week and runs through Dec. 9 at the Mark Taper Forum in Los Angeles, is the story of two immigrant families and the ill treatment the Japanese received during World War II. 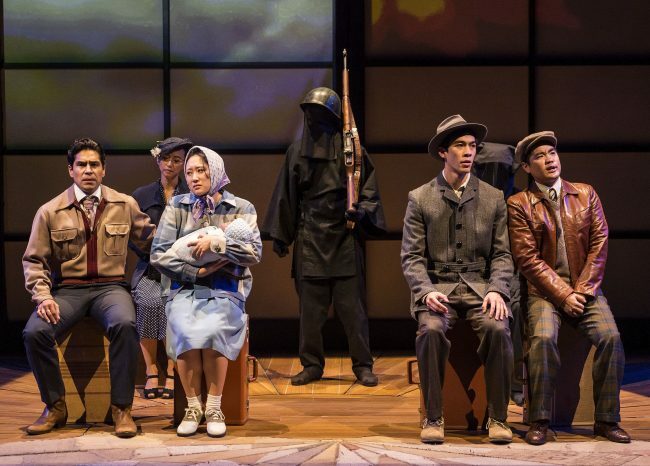 Created by Luis Valdez (“Zoot Suit”), his new stage production tackles immigrant history in California’s rich Central Valley farmlands and the Japanese internment camps. The story shows how relationships between people from different cultures — one of Japanese heritage, the other Mexican — can devolve into dissension and distrust, and how badly the Japanese were treated. Valdez’ tale about immigrant travails evokes thoughts of today’s controversies. “Valley of the Heart” also conveys how immigrants can feel torn between their old home and their new one, but their children think of them selves as Americans. Attendees cannot help but equate the American-born Japanese descendants that felt unwelcome in U.S. and children of immigrants today who are of DACA status or American-born and have no real ties to any “homeland” but the U.S. The play is set in Santa Clara Valley, the farmlands near Cupertino that eventually became tech-company lands, where the Yamaguchis own a farm and the Montaños are their sharecroppers. It begins with Benjamin Montaño as an old man musing about the area that became Silicon Valley and life there. When the Japanese screens serving as a curtain (and projection surface) open behind him, the two families are seen in their respective homes. As one character notes, it is Dec. 6, 1941. Benjamin Montaño (played by Luis’ son Lakin Valdez) and Teruko Yamaguchi aka Thelma (Melanie Arii Mah), the American-born oldest offspring, have secretly fallen in love. Her father, Ichiro (Randall Nakano), and his wife, Hana (Joy Osmanski), planned to have Thelma marry Calvin Sakamoto (Scott Keiji Takeda), who attends Berkeley with their son, Yoshi (Justin Chien). However, the arrival of the war and an untimely pregnancy lead to the elopement of Ben and Thelma. As the forbidden love developed, Pearl Harbor changed all their lives. Ishiro tries to rid the house of anything Japanese, because he does not want to stand out. It has been 40 years since he left Japan, but he is conflicted that the U.S. is fighting his native land, he thinks of himself as an American and, as the government begins arresting Japanese men and rounding up families, he is being treated as Japanese. His children are Nisei, American-born and cannot imagine life outside the U.S. They feel their lives are being destroyed as Thelma and her family are sent to a series of horrible internment camps. For the Montaños, the situation brings opportunity. Ben, his parents (Luis’ brother Daniel Valdez and Rose Portillo; brother, Tito (Moises Castro) and his sister, Maruca (Christy Sandoval), take over the farm and move from their shack to the Yamaguchi house. “Valley of the Heart” is engrossing, but seems like a soap opera carried along by Ben’s storytelling. The issue of interracial marriage is largely abandoned as an issue to be explored. Ben goes with his wife to the internment camps but has to return to Cupertino to work the farm, particularly after his brother goes to war. The staging and set are noteworthy (the acting is not). The use of stage assistants draped from head to toe in black like kurogos in Japanese theater is a great touch that helps propel things. John Iacovelli’s set illustrates how the two households live side-by-side initially at different economic levels. The Montaño shack does dual purpose, later serving as the internment camp home for the Yamaguchis. The Montaños moved into the Yamaguchi house, further illustrating how the two families’ tables have turned. The Japanese screens often feature David Murakami’s projections, which make the location being shown clear and reflect historic events (like showing Franklin Roosevelt speech asking Congress to declare war) adding context. The experiences of the Montaños and Yamaguchis are particularly relevant in today’s contentious times with attitudes toward immigrants in headlines. “Valley of the Heart” ends where it started, with Benjamin Montaño as an old man, evoking stories of immigrants and ill treatment now. The struggle to be seen as American has not changed.